I have a secret to share. 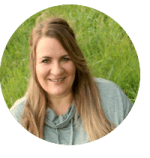 During the recession that happened a few years ago, my family was really broke. We didn’t have any extra money. That’s actually when I started this blog. 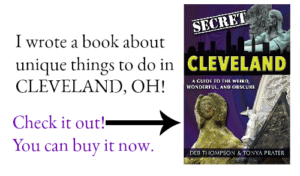 It was called something else, but the focus was on finding free things to do wherever my husband’s job took us. At that time, it was Alabama and Atlanta. Ramen noodles was a staple for us because it was cheap. 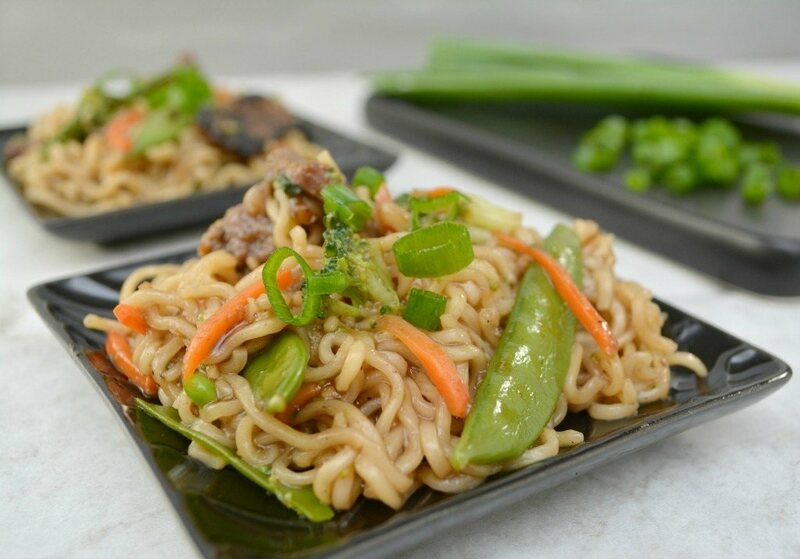 We ate them several times a week and if we had a little bit of extra money, I’d buy a can of vegetables to add to the noodles. Yep. I was fancy like that. My kids won’t eat ramen like that these days, just like I refuse to eat a Spam sandwich and drink Tang. Too much of a good thing when I was young? 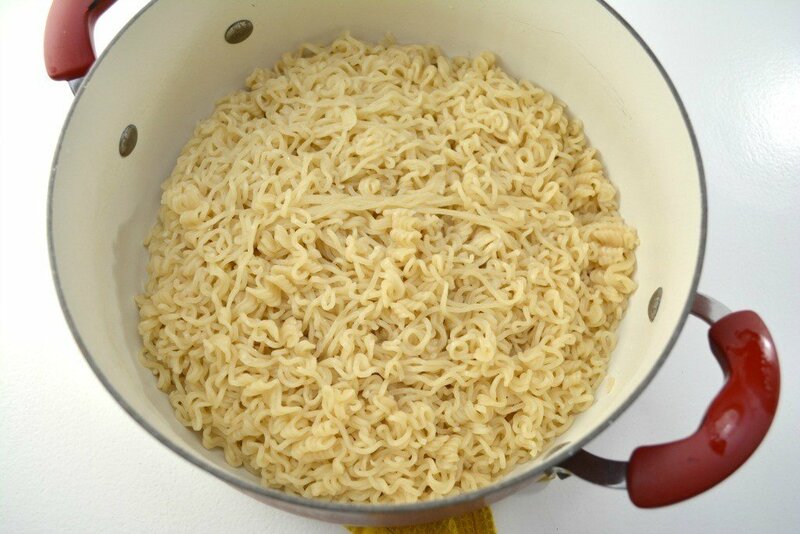 This is the new and improved Ramen recipe. 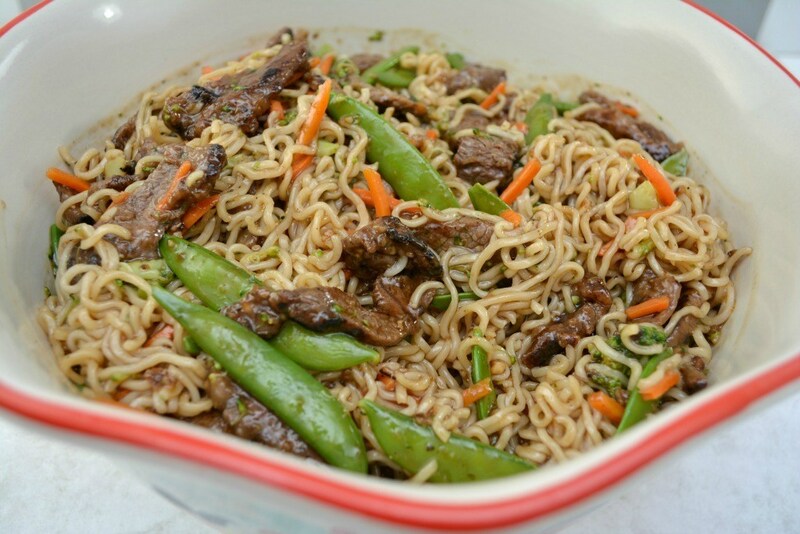 This Beef Ramen Recipe adds in steak, fresh veggies and ginger for a meal even my kids can’t resist. Combine ¼ c. olive oil, 2 tsp. Minced garlic, 2 tbsp. Rice wine, ¼ c. honey, ¼ c. soy sauce, 1 tbsp. fresh chopped parsley and salt and pepper to taste in a bowl. Whisk well to combine. 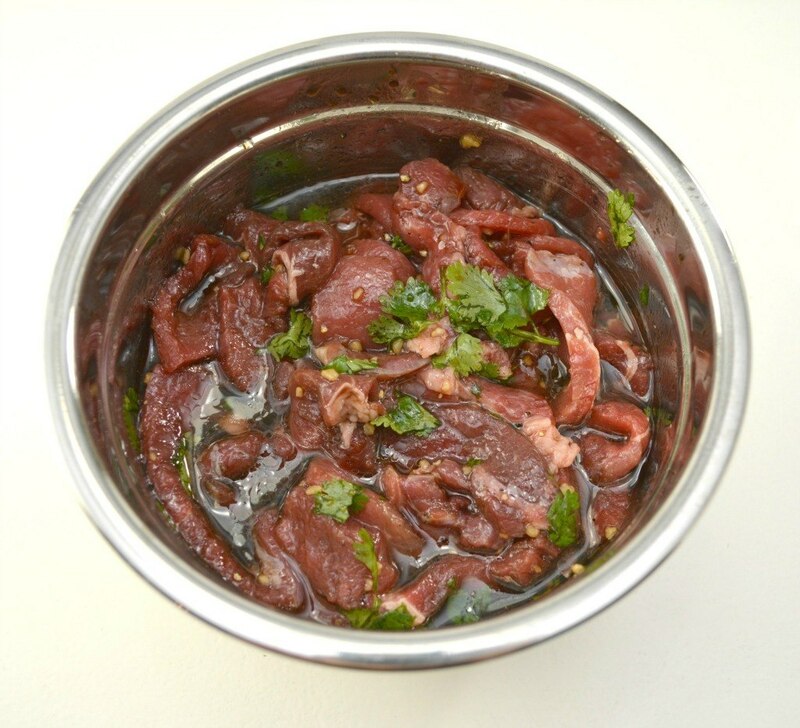 Put the thinly sliced steak into the bowl with the marinade and toss to coat well. Put the steak covered in the marinade in the fridge for at least 1 hour. About 10 minutes before you are ready to cook your steak, cook your ramen noodles according to the package instructions. Rinse with cold water when finished to keep them from sticking, and set them aside. While the ramen noodles are cooking, blanch the vegetables in boiling water until they are pliable, but not mushy. Rinse under cold water and set aside. Remove the steak from the marinade and get as much of the marinade off of it as possible before coating the steak strips in 4-5 tbsp. of cornstarch. 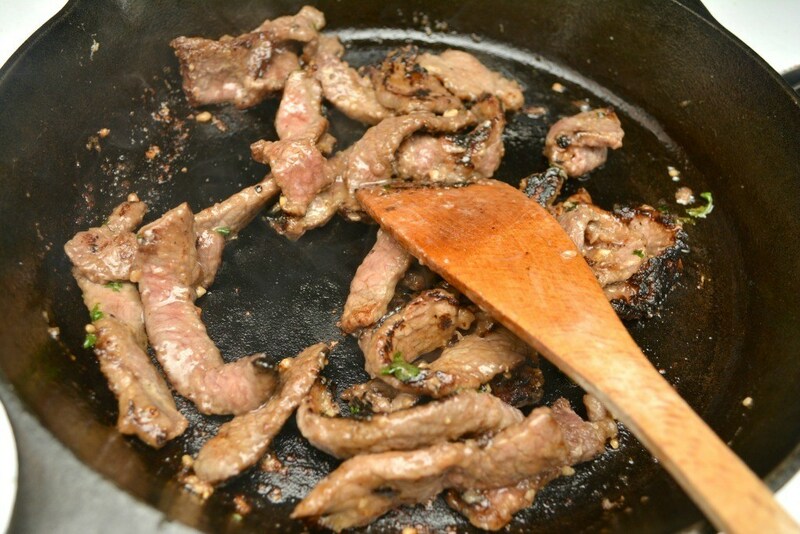 In a large skillet over high heat, cook half of the steak strips in 1 tbsp. of olive oil. This will take only a few minutes per side, you do not want to overcook your meat, or it will be tough. 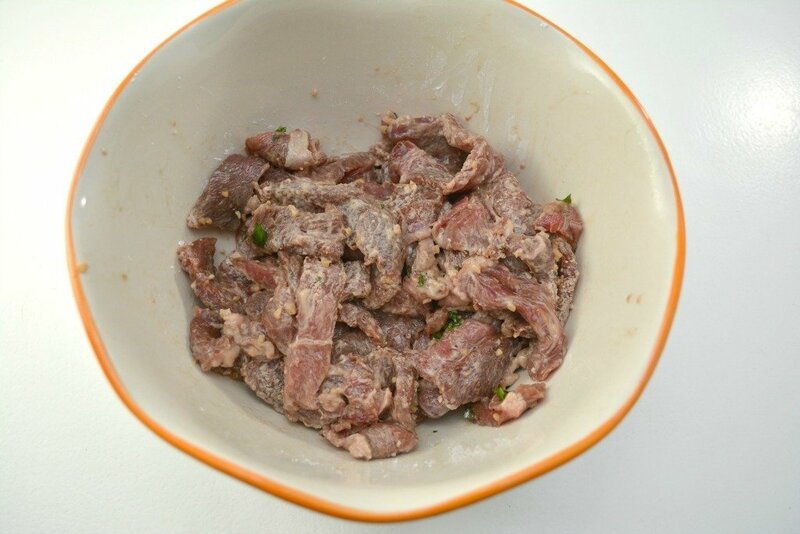 Set the cooked steak aside in a bowl, and cook the remaining half of the steak strips in another tablespoon of olive oil. Set that aside when done as well. Turn the skillet down to medium, and add in 2 c. of beef stock, 1 tsp. Minced garlic, ½ tsp. Freshly grated ginger, ¼ c. Hoisin sauce, ⅔ c. brown sugar and 4 tbsp. Soy sauce. 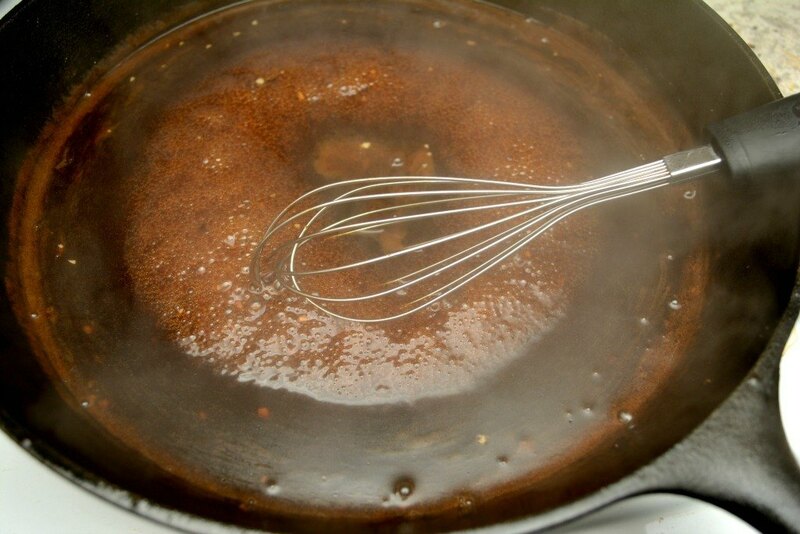 Whisk the ingredients together well, and stir often until the sauce begins to thicken in about 6-8 minutes. 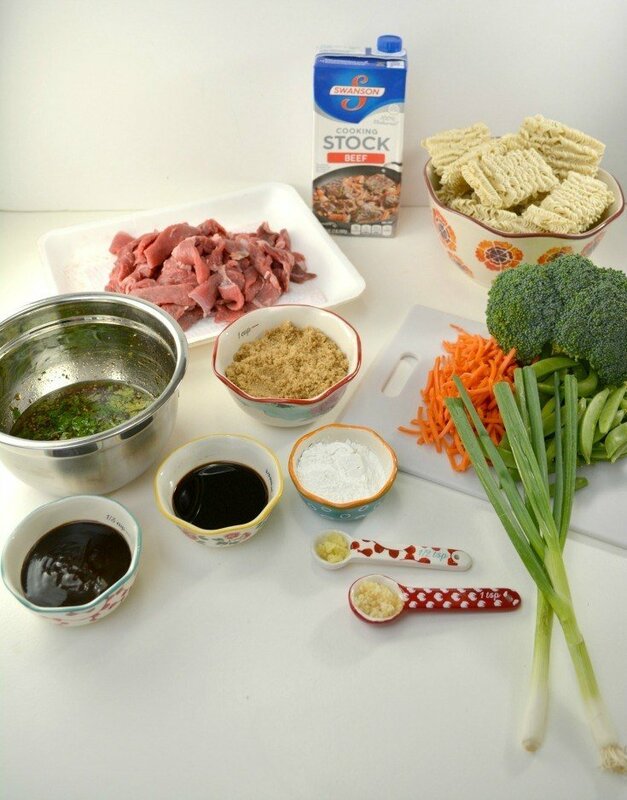 Once the sauce has thickened, combine the ramen noodles, vegetables and steak together in a large serving bowl and pour the sauce overtop. 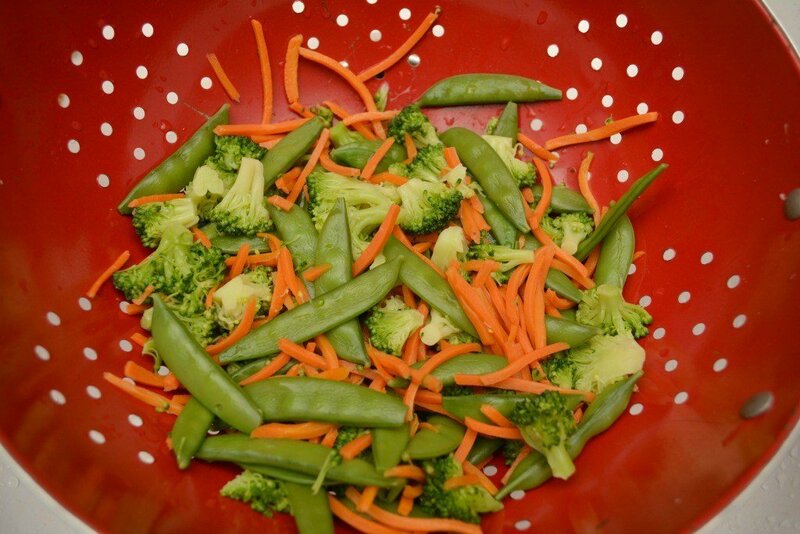 Mix well, and serve garnished with fresh green onions, parsley or sesame seeds. Do you like Ramon? What would you add to this recipe? I pinned this! I love a good Ramen recipe! Looks yummy although hubby is gluten free so we’d have to do something different for the noodles. I could use rice noodles, though.